Bicycle accidents can occur quickly and with devastating results for cyclists, who have limited protection. If you or a loved one has been injured in a bicycle accident, the proven attorneys at Bennett Johnson, LLP, can represent you. We will fight for your right to compensation, creating a tight case that takes all the details of the accident into account. At the same time, when you choose a bicycle accident lawyer at our Oakland, Napa, and Santa Maria, CA, firm, you will benefit from our compassionate approach. We know that you have suffered significant trauma. Accordingly, we will make the legal proceedings as stress-free as possible. Further, we offer free consultations, and we work on a contingency basis. Therefore, you will not pay until your case has successfully closed. Bicycles are small, and they frequently have their own lanes amid rows of heavy motor vehicle traffic. Thus, they are particularly susceptible to collisions. Common causes of bicycle accidents include the following. Dangerous road conditions: Uneven roads or loose gravel can pose particular dangers to cyclists. They can also lead to more severe injuries, such as skin lacerations. Distracted driving: Far too many drivers are talking on the phone, texting, eating, or engaging in other activities. These behaviors are particularly dangerous for cyclists, who are already easier to miss than motor vehicle drivers. Drivers who do not leave enough space for cyclists: Sometimes drivers will simply not see a bicycle. Other times, they will grow impatient and try to pass when there is not enough room. 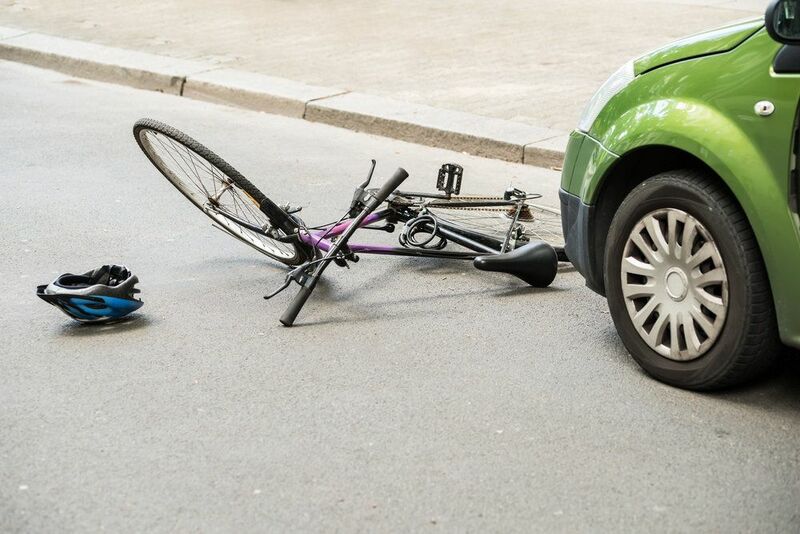 Door accidents: In some instances, drivers of parked cars will open their doors just in time to hit a cyclist coming quickly down the bike lane. Crashes on left hand turns: Drivers making a left hand turn are legally required to yield to oncoming traffic. Nevertheless, many times, they do not look closely and miss an approaching bicycle. At Bennett Johnson, LLP, we believe that you should not pay a cent if you were injured due to someone else’s negligence. There are more bicycles on the road today than ever before, which equates to more accidents caused by negligent motorists. Because cyclists do not have any external protection in the event of an accident, resulting injuries can be severe or even life-threatening. According to the Insurance Institute for Highway Safety (IIHS), in 2015, a total of 817 bicyclists died in collisions with cars. Of course, thousands more were injured, often with debilitating effects. The most common damage in bicycle accidents are head injuries, including traumatic brain injuries. That is why helmet use is so important. In fact, the IIHS states that wearing a helmet can reduce the risk of head injury by 50%. Because of the often severe nature of bicycle accident injuries, medical bills can be steep. If you have particularly serious damage, you may require years of ongoing medical care, surgery, and/or physical therapy. Other expenses can include lost wages, support for dependents, and psychological counseling. In the case of wrongful death, you will be facing the sometimes overwhelming prospect of funeral costs. At Johnson Bennett LLP, we believe that you should not pay a cent if you were injured due to someone else’s negligence. That is why we will fight tirelessly on your behalf to obtain the money that you deserve. Our lawyers have been practicing personal injury law since 1981. With more than three and a half decades of experience, they know the most effective legal strategies. They also have an impressive history of success, having won millions of dollars for their many clients. If you have been injured in a bicycle accident, it is in your best interest to find out if you have a viable claim as soon as possible. Contact our office today to schedule your free case evaluation.